Personal Information on this Site is collected by CTE Skills and its telephone number is 409-962-5884. You have the right to access and correct your Personal Information and privacy preferences at any time. For security purposes, certain Personal Information can only be changed by contacting support@CTESkills.com. iii. Demographic information such as your job title, job description and company name and company type. i. Contact information such as your name, phone number, primary address, and email address. ii. Payment and Instructor information including, but not limited to, payout method, payout email, desired display name, skill level, and content focus. c. Depending upon the activity, some of the information that we ask you to provide is identified as mandatory and some as voluntary. If you do not provide the mandatory data with respect to a particular activity, you will not be able to engage in that activity. d. As is true of most websites, when you use the Site, CTE Skills or third parties authorized by CTE Skills may also collect certain technical and routing information about your computer to facilitate your use of the Site and its services. For example, we may log environmental variables, such as browser type, operating system, CPU speed, and the Internet Protocol (IP) address of your computer. We use these environmental variables to facilitate and track your use of the Site and its services. CTE Skills also uses such environmental variables to measure traffic patterns on the Site. To better understand the needs of our visitors to the Site we may occasionally match such information with your Personal Information. e. In order to reduce errors in our database, authenticate our users, and prevent abuse of our system, we may on occasion supplement the Personal Information you submit to us with information from third-party sources. For example, we may supplement your contact information with address information provided by the U.S. Postal Service to qualify your information and prevent errors in our database. As permissible, we may also supplement the information you provide to us with demographic and other information (such as age or interest in photography) stored in third-party databases in order to make it more likely that marketing communications we send will be of interest to you. a. The Site may automatically collect information as you browse, such as Internet Service Provider, browser type and version, operating system and device type, average time spent on our site(s), pages viewed, information accessed, the Internet Protocol (IP) address used to connect your computer to the Internet and other relevant statistics. Such information is sometimes referred to as web analytics and/or clickstream data. ii. An action tag is similar to a cookie. Action tags help us identify and track the performance of web pages on the Site, allowing us to measure the performance and quality of the Site and to manage Site content. In addition, we may use action tags in emails. This allows us to gauge the effectiveness of certain communications and the effectiveness of marketing campaigns by showing, for example, how many emails have been opened. CTE Skills uses one or more outside credit card processing companies to bill you for our goods and services. To the best of our knowledge, these companies do not share, store, or use personally identifiable information for any other purpose. We also share Personal Information with certain companies that perform services on our behalf. We only share the Personal Information that is necessary for them to perform those services. We require any company with which we may share Personal Information to protect that data in a manner consistent with this policy and to limit the use of such Personal Information to the performance of services for CTE Skills. xi. Customize your experience, including targeting our services and offerings to you. b. We store information that we collect through cookies, log files, transparent images, and/or third party sources to create a summary of your preferences (“Summary”). We tie your personally identifiable information, and/or your membership usage history, to information in the Summary, in order to provide tailored promotions and marketing offers, to improve the content of the Site for you and/or to determine your preferences. c. We further reserve the right to disclose your Personal Information as required by law (e.g., to comply with a subpoena, warrant, court order, or legal process served on CTE Skills) and when we believe that disclosure is necessary to protect our rights, avoid litigation, protect your safety or the safety of others, investigate fraud, and/or respond to a government request. We may also disclose information about you if we determine that such disclosure should be made for reasons of national security, law enforcement, or other issues of public importance. We will retain your information for as long as your account is active or as needed to provide you services. 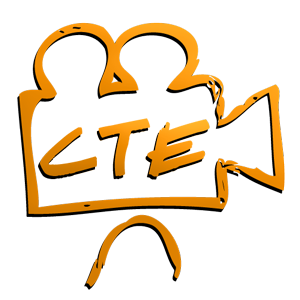 If you wish to delete your account or request that we no longer use your information to provide you services contact us at support@CTESkills.com. We will respond to your request within 30 days. We will retain and use your information as necessary to comply with our legal obligations, resolve disputes, and enforce our agreements. You may “opt out” of receiving CTE Skills’ email updates, newsletters and/or partner emails by clicking on the ‘My Account’ link on the Site and making the appropriate selections. CTE Skills will still contact you when there are changes to the User Terms of Service or Instructor Terms of Service, as applicable. In addition, we will still send you service-related announcements including, but not limited to, a registration email, benefit notification emails, emails automatically triggered by actions you took on the Site and bill related notices. Generally, you may not opt-out of these communications, which are not promotional in nature. If you wish not to receive them, you have the option of deactivating your account. For assistance with deactivation, please contact support@CTESkills.com. i. Access by you to your account profile is available through a password and unique customer ID selected by you. This password is encrypted. You should strive to use a strong, alpha-numeric password which you should not divulge to anyone. ii. Your Personal Information resides on a secure server that only selected CTE Skills personnel and contractors have access to via password. iii. Your Personal Information is encrypted whenever it is transmitted to CTE Skills. iv. When you enter sensitive information (such as credit card number) on our registration or order forms, we encrypt that information using secure socket layer technology (SSL). b. We strive to protect the Personal Information submitted to us, both during transmission and once we receive it. No method of transmission over the Internet, or method of electronic storage, is 100% secure, however. While we use commercially acceptable means to protect your Personal Information, we cannot guarantee its absolute security. c. If you have any questions about security on our Site, you can send email to us at support@CTESkills.com. If you choose to use our referral service to tell a friend about our Site, we will ask you for your friend’s name and email address. We will automatically send your friend a one-time email inviting him or her to visit the Site. CTE Skills stores this information for the sole purpose of sending this one-time email and tracking the success of our referral program. Your friend may contact support@CTESkills.com to request that we remove this information from our database. We do not intend to solicit or collect Personal Information from anyone under the age of 13. We do not intend to solicit or collect Personal Information from anyone between the ages of 13 and 18 without the express consent of the parent or legal guardian. If you are under 13, do not enter information on this Site or engage our services. If you are between the ages of 13 and 18, do not enter information on this Site or engage our services without the express consent of your parent or legal guardian. If you believe a child of yours under the age of 13 has entered Personal Information, or if you believe a child of yours under the age of 18 has entered Personal Information without your express consent, please contact support@CTESkills.com to have the data removed.